The offices of the Sitka Historical Society and Sitka History Museum will be closed in observance of Labor Day. Offices will reopen to the public on Tuesday, September 5th. The Ice Trade was a hot industry in Alaska! Join Harvey Brandt and Mike Morris at the Sitka National Historical Park on September 6th to learn more. Archaeologist Anne Pollnow presents Before Contact: Linking local archaeological finds and Tlingit oral history prior to Russian contact. Sitka National Historical Park, September 13th, 7PM. Join Bob Sam as he presents on Sitka’s cemeteries. 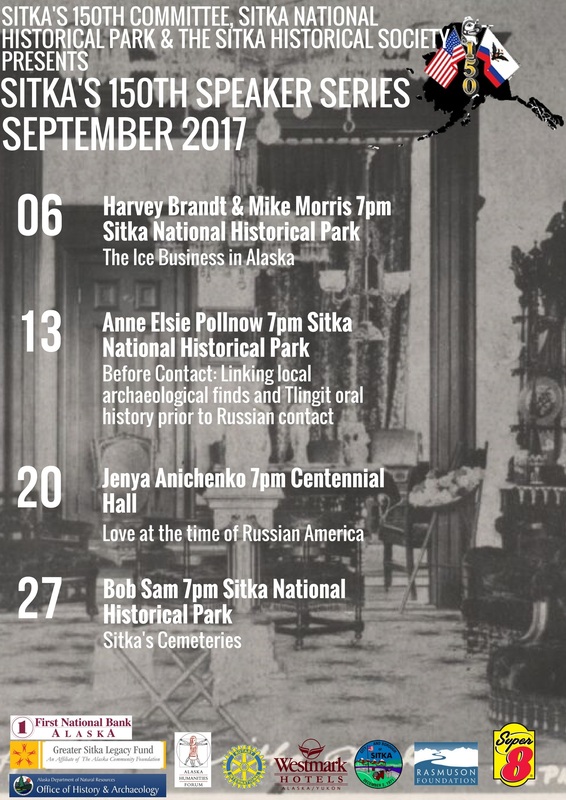 Sitka National Historical Park, September 27th, 7PM.